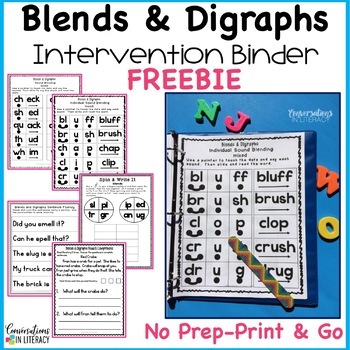 This Blends and Digraphs Reading Intervention Binder is just what you need to get started with using reading binders during guided reading, small groups, reading interventions and even literacy centers! This FREE resource demonstrates how students can move from individual sounds to blending sounds and chunks to reading sentences and short stories! Great for kindergarten, first grade, and below level second graders. This FREE resource is a part of the Word Work Intervention Binder Bundle. 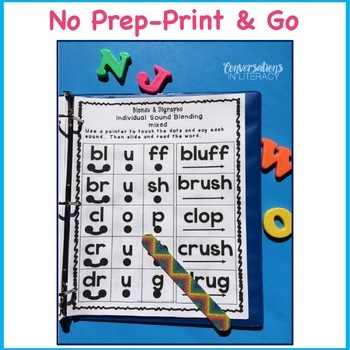 Click HERE to see the entire set of Word Work Intervention Binders. 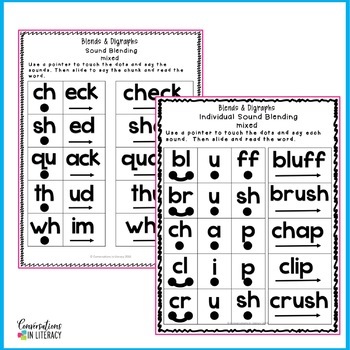 If you love these Reading Intervention Word Work Binders, check out these Reading Intervention Fluency Binders ! Be sure to click on the links above to see what each binder in the bundles look like and includes.